FairLifts manages expert aerial photography, videography, and surveying projects in Missouri. Our global network of helicopter providers delivers world-class results for photographers and videographers, surveyors and cartographers, real estate and travel companies, law enforcement and wildlife agencies, among others. With a top-notch crew of pilots, who are equipped with next-generation latest technology, our network of helicopter providers produces high-resolution imaging for aerial photography, video, land survey, real estate, utility, wildlife, and land demarcation assignments, among many others. Our knowledgeable account managers are available seven days a week to facilitate quotes, assignment planning or additional information for aerial photography, videography or survey projects. Call for expert aerial imaging solutions in Missouri. The gross state product of Missouri averages $300 billion, ranking 22nd among US states. Major industries in the state include aerospace, transportation equipment, food processing, chemicals, printing/publishing, electrical equipment, light manufacturing, financial services, and beer. In terms of agriculture, the state produces beef, soybeans, pork, dairy products, hay, corn, poultry, sorghum, cotton, rice, and eggs, and is ranked sixth in the US for the production of hogs and seventh for cattle. Missouri has over 108,000 farms, the second-largest number in any state after Texas, and actively stimulates its rapidly growing wine industry. Agriculture contributes $33 billion in GDP to the state’s economy and creates $88 billion in sales and more than 378,000 jobs. Missouri has large quantities of limestone, as well as lead, coal, and crushed stone. The state also ranks first in the production of lime, a key ingredient in Portland cement. Tourism, services and wholesale/retail trade follow manufacturing in economic importance. FairLifts actively works with Missouri’s agricultural, tourism, mining, manufacturing, energy, construction, and real estate industries to program helicopters for successful surveying, mapping, law enforcement assistance, reconnaissance and surveillance, wildlife census and sampling, and photography and videography services in the state. FairLifts organized helicopter support has proven to be invaluable in various pursuits across the state of Missouri including land and property surveys, for large-scale and high-end real estate, to be used for commercial or industrial application, utility installation mapping and inspection, in wildlife population studies and land demarcations. To learn more about a particular service, contact FairLifts representatives or read on to see a brief explanation of a few we reserve helicopter support for. FairLifts manages premium aerial photography and videography solutions for commercial and residential property land surveys, ranch aerials, commercial construction aerial surveys from groundbreaking to ribbon-cutting, and private and corporate aerial photography. Our global network of helicopter providers delivers first-rate imaging for aerial projects in Missouri. FairLifts arranges leading-edge aerial surveying and mapping solutions for geomatics or other imagery collection, using aerial photography, LiDAR, remote sensing, and aeromagnetic surveys to ensure expert imaging results for local companies. 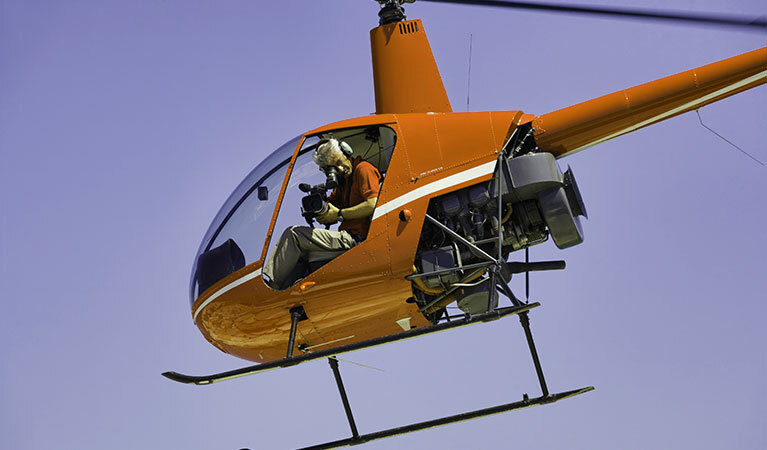 Our global network of helicopter providers ensures hi-tech imaging for industries in Missouri. FairLifts coordinates trained aerial solutions for law enforcement assistance, reconnaissance, and surveillance of crime scenes, large events like sporting events, concerts and parades, and surveillance targets for reliable results. Our global network of helicopter providers secures reliable aerial solutions for law enforcement agencies in Missouri. FairLifts organizes certified aerial solutions for wildlife aerial census and sampling to precisely generate images and GPS information for data collection. Our global network of helicopter providers guarantees accurate imaging for top wildlife and environmental agencies in Missouri. FairLifts reserves an array of premium aerial photography, videography and survey solutions for agricultural and land surveying, manufacturing industries, law enforcement, real estate, development and construction companies, and wildlife and environmental agencies in Missouri. Our proficient account managers are available seven days a week to facilitate additional information, quotes or aerial photography, videography, and surveying project planning in Missouri. Call today!